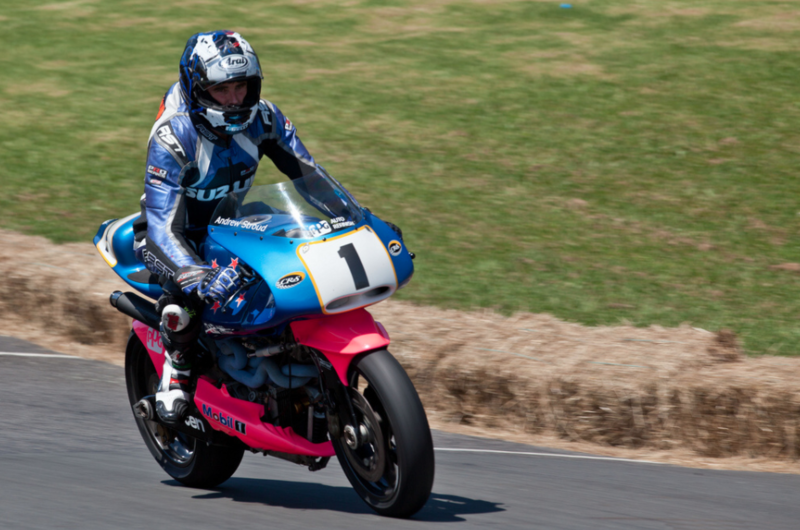 Andrew Stroud on the Britten V1000 at Paeroa, Waikato, New Zealand in February, 2011. My brother John loved motorbikes. As a child, he would fling aside his toy trains and model cars, and happily roll a mini motorbike along the terrain of his legs and arms for hours, muttering “vrmm-vrmm” under his breath. He was also notoriously bad at saving. The prospect of eating two minute noodles for months didn’t dissuade him from buying his first motorcycle at the age of 18. He didn’t have his motorbike license, but we lived in a small backwater town. The hills and fields of the surrounding farmland were ever so tempting, and luckily the local police and farmers turned a blind eye to his reckless behaviour. John’s motorbike wasn’t particularly safe. It was huge and unwieldy; a rusty blue and yellow thing that expelled toxic plumes of black smoke. We could hear it coming a mile off. It was nothing like the elegant, lightweight Britten v1000 motorcycle. It’s remarkable to think that instead of Germany, Japan or Canada, the most sophisticated and technically advanced motorcycle in the world comes from little old Christchurch, New Zealand. Designed and built by John Britten and a few of his friends in the early 1990s, the Britten V1000 revolutionised the world of motorcycles. The bike broke world speed records, leaving factory-built Hondas and Yamahas behind in the dust, and incorporated a number of clever innovations, including the extensive use of carbon fibre, double wishbone front suspension, a frameless chassis, the location of the radiator under the seat and engine data logging. Only ten Britten V1000s were produced by the Britten Motorcycle Company. They are now scattered across the world, gawked at in museums and collections from Te Papa to Alabama, US. Born in Christchurch on the 1st of August, 1950, John Britten was a remarkably precocious and tech-minded child. Wiling away his time by building go-karts out of old packing cases, by the age of twelve, Britten had saved enough pennies to purchase a petrol motor. Soon he had built his first motor powered go-kart. At the age of thirteen, he and a friend called Bruce Garrick restored an old Indian Scout motorbike they had found languishing in a ditch. In 1986, John Britten decided to fiddle around with his bevel drive Ducati race bike, endeavouring to create all his own body work. However, the motor and chassis proved too unreliable, and he abandoned this venture in favour of another one; installing a Denco motor in a home built frame. Fortunately for motorcycle history, this motor failed him, so Britten eventually decided to start from scratch and build his own race bike, motor and all. The most important factor for racing bikes is speed, from rapid acceleration, rapid deceleration, and speed with manoeuvrability around corners, to outright speed on the straight passages. Britten was preoccupied with finding ways to make his machine go faster. To this end, he crafted the body of the bike out of carbon fibre, a lightweight, strong material. The aerodynamic design of the body also gave the bike extra speed. Britten eliminated the need for a framework chassis to keep the front and rear wheels in line by strengthening the metal in the engine castings. He connected the rear wheels to the crankcase and installed a computer on board that could monitor and record six different mechanical functions. Britten also removed the radiator from its usual position in front of the engine, and nestled it under the seat where it couldn’t disrupt air flow. He designed the engine to be small and compact; the same width as the tyres, so that it offered minimal air resistance. The front suspension was crafted in a double wishbone shape, so that the bike could take the corners faster. All these modifications imparted great power and flexibility to the bike, coupled with its visually arresting design features. Since Britten’s death in 1995, the Britten Motorcycle Company has continued to succeed, winning the Sound of Thunder at Daytona for five consecutive years. In its racing history — from Europe to Australia to New Zealand— the Britten has placed in nearly every event it has raced in. In 1995, Britten bikes took first and second place overall in the BEARS World Championship. In 1996, a Britten bike was first overall in the New Zealand National Superbike Championship. With its monstrous roar that makes a Harley Davidson sound like a gentle purr, the Britten is certainly a handful. Three years ago, my brother died. Ironically, his death didn’t come about on the road or in an empty paddock, but in the Waihou river. We didn’t know what to do about his motorbike, and ended up selling it for a paltry $50. I’m 22 years old, and I still don’t have my license. But one day I’d like to buy a motorbike and fly over the fields like both Johns did. Please make this good story better by correcting “Designed and built by John Britten and a few of his friends in the early 1900s” to read early 1990s. From ingenious pā fortifications and Tā moko uhi (chisels) to disposable syringes and the Britten motorcycle, New Zealand's scientific innovations are fascinating, varied and internationally appreciated. Explore the history of NZ science and technology with Jean Balchin as she examines 25 objects we kiwis have made. George Jones on Plastic – It’s Electrifying! 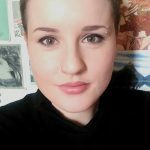 Jean Balchin on Plastic – It’s Electrifying!